Potentially the worst makeup collection since time began will be hitting the shelves in September. 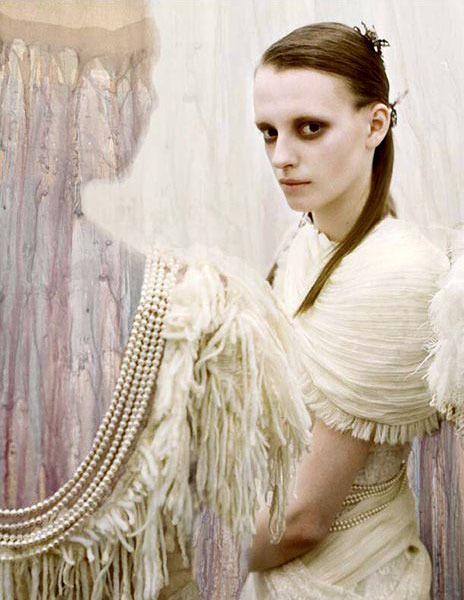 This poorly thought out collection, a collaboration between MAC Cosmetics and Rodarte Fashion House, is based around the "the beauty of the landscape and the people" of the town of Juarez in Mexico. As a business student, I am a firm believer in thoroughly researching important decisions before they are made, because decisions can often be irreversible. I normally start the research process with Google or Wikipedia, to get a basic understanding of the topic in question! I'm guessing MAC and Rodarte didn't bother researching this collection at all, or they would have noticed that typing "Juarez" into Google generates 10 suggestions, three of which are Juarez Murders, Juarez Violence and Juarez Mexico Murders. 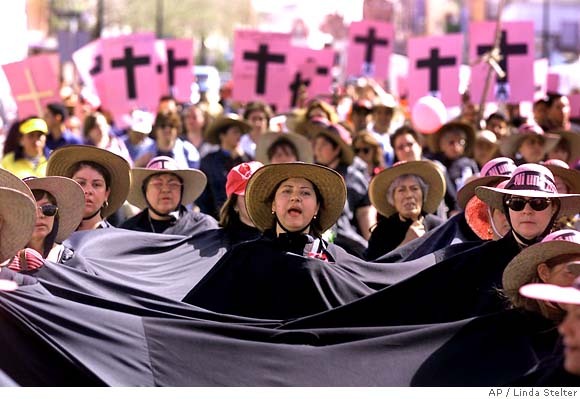 Since 1993, the women of Juarez have been terrorised. They have been raped, mutilated and murdered. Their naked bodied have been dumped in the desert. 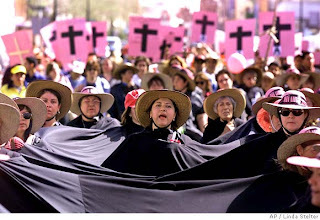 There are over 500 reported cases of "femicide", although recent reports claim that actual figures are as high as 5000 in the Juarez area alone. 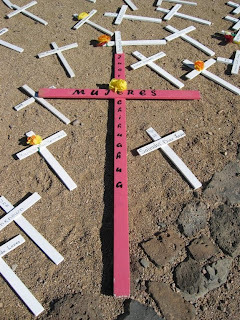 The majority of the victims were maquiladoras, who worked in local factories and sweatshops for peanuts, and the attacks usually occured at night, while they were walking to and from work. Perhaps the most devastating thing is the fact that most of the women were aged between 12 and 22. 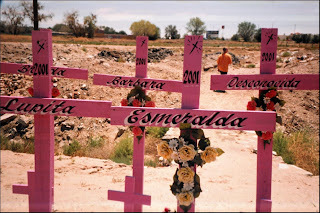 Despite large scale media coverage, and actors such as Minnie Driver, Jennifer Lopez and Antonio Banderas all highlighting the ongoing issue in films such as "The Virgin of Juarez" and "Bordertown", these horrific crimes have gone, largely, unpunished... and they are still occuring. 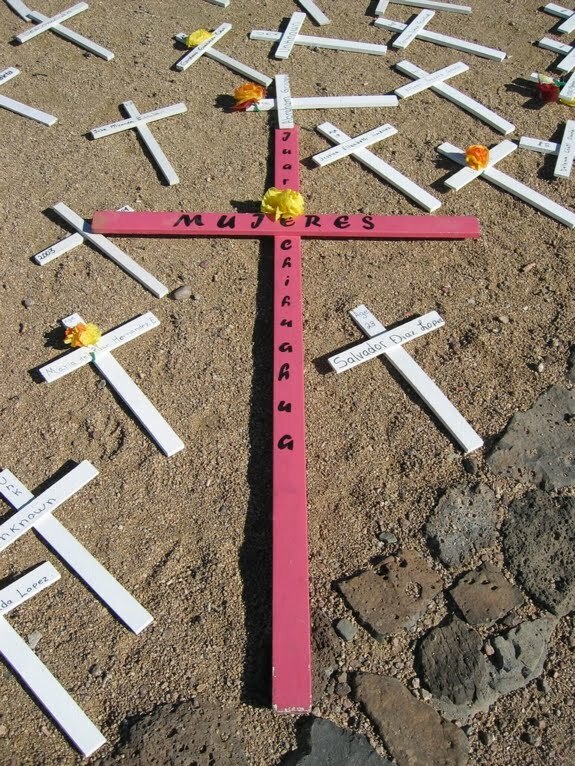 A local newspaper in Juarez, Norte, reported 37 murders in the first four days of 2010. (Source) This is an epidemic that needs to be stopped. You are probably wondering HOW ON EARTH no one at MAC or Rodarte came across the tragic reality of Juarez during their extensive research. Both companies have recently released statements, following media uproar over the collection. Something is amis here... if the plight of the women of Juarez was a "very important issue" then I doubt they would have named their some of their products Factory, Ghost Town and Sleepwalker and I doubt they would have had promotional images featuring corpse-like models. At least MAC apologised for this dreadful blunder. Rodarte have not shown any remorse. If there was any justice in the business world, all the profits from this collection would be donated to helping these women and their families. I, for one, will not be purchasing anything from this collection. I will, instead, be donating the money, that I would have spent, to Amnesty International, who actively work to assist these women and other victims of abuse. I urge you to do the same! Feel free to express your opinions in the comments, and if you know of any other posts on this topic, that I have left out from the above list, please leave a link!! Thank you for blogging about Juarez. I have to say, call me cynical, but I think the Mulleavy sisters and MAC knew exactly what they were doing. Juarez isn't known for anything else except these murders, and the blush they named "Juarez" looks blood streaked. They are selling a fanstasy of death (femicide) as beauty and that's what makes me sick. They thought that nobody would care either. I will never buy anything from MAC/Rodarte or Estee Lauder.